I am in the US at this time while the Ulysse family and I explore a new ministry vision and await the arrival of my new grandbaby in September. Pastor Massenat and Melinda expect their little blessing to arrive mid-September and then we plan to go back home to Haiti late November or early December. When the Ulysse family and I return to Haiti we will continue to help those in need. We will continue the ministry of Nivard Holiness Church and will provide nursing care as the need arises including the tiniest and most vulnerable newborns and premature infants. Our new ministry will operate under the name of Redemption by Grace Ministries (RGM) or in French "Mission Redemption par la Grace". Please look for our new website coming soon at www.redemptionbygraceministries.org We covet your continued prayers as we make this transition. Hilltop Chapel 11700 Spring Arbor Road Concord, MI 49237. We can be contacted at mnmulysse@yahoo.com or hchaiti@gmail.com We would love to hear from you. 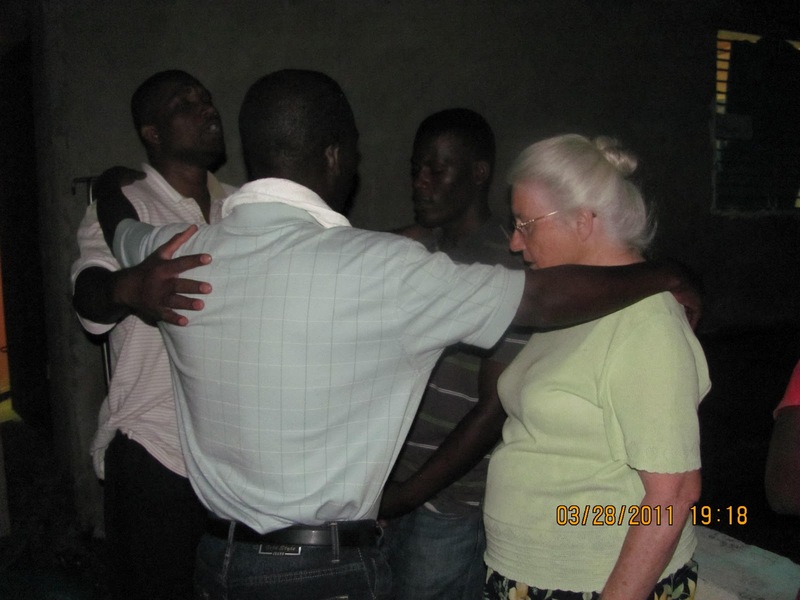 Please note that Haiti Children's Home continues to care for orphan and needy children. HCH was taken over by the Haitian based organization FONSOPED in January 2012 with the financial support of HCAS from Canada. Grandma Pat and the Ulysse family are no longer present at HCH and are no longer in charge of the administration at HCH.